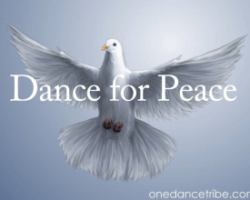 ONEDANCE was a series of the global events that were broadcasted from Earth Day 2014 to International Peace Day 2015. All you have to do is sign up to our mailing list and you will gain access to the archive. There are 16 one hour conscious movement sessions led by teachers from different modalities for you to enjoy anytime and anywhere you feel like dancing!